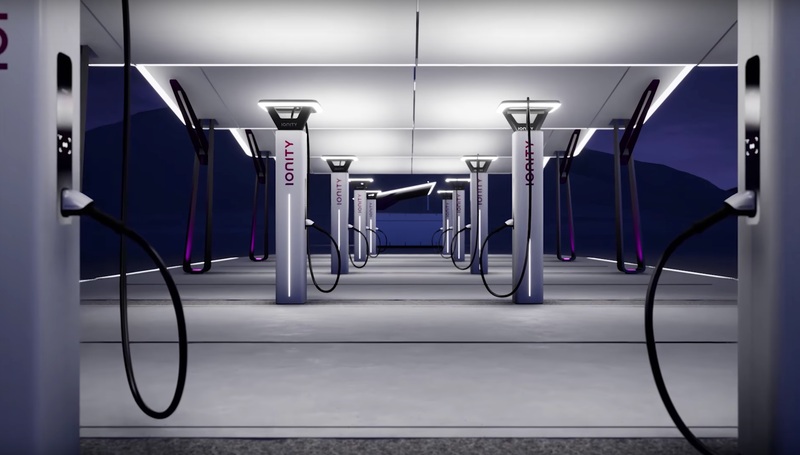 The first concept video of the IONITY charging station – the Volkswagen Group, BMW Group, Daimler AG, and Ford Motor Company’s response to Tesla’s Supercharger network – has been released, giving an idea of the design and features that the rumored 350 kW charging stations would adopt. 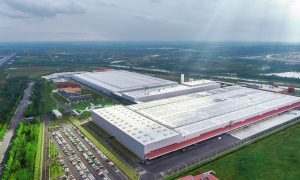 The reveal of the IONITY chargers came in time for the 2018 Geneva International Motor Show, an event that has seen the reveal of numerous electric car concepts from legacy automakers such as Volkswagen and BMW. 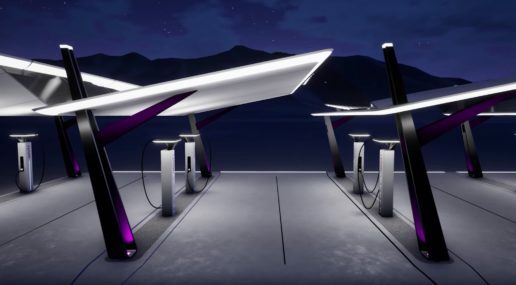 According to a press release on the unveiling of the IONITY concept, the design of the chargers in the teaser video would be adopted for the upcoming Pan-European High-Power Charging Network. A rather creative description of the charger was included in IONITY’s press release. One thing that definitely sticks out from the design of IONITY’s stations is the charger’s clean and sleek appearance. Just like Tesla’s Superchargers, the German automaker’s stations look futuristic, with the chargers being activated by what appears to be a sensor on its frame. 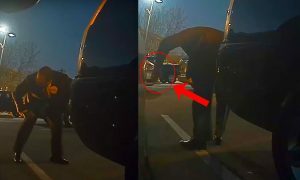 This was noticed by members of the online forum community, many of whom are speculating that the sensors on the IONITY charger would respond to mobile devices with NFC and RFID cards. While IONITY’s design is quite impressive, it remains to be seen if the charging system could indeed provide vehicles such as the Porsche Mission E with 350 kWh of output when plugged in. 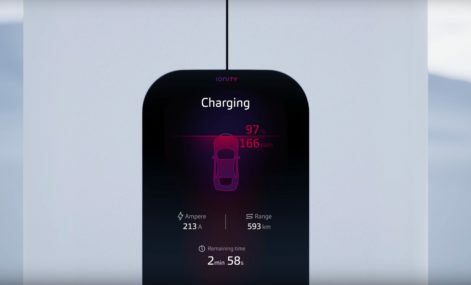 So far, only concept videos of IONITY have ben released; thus, no real-world demonstrations featuring an electric vehicle using the upcoming charging infrastructure are available. With its expected 350 kW of output, however, Porsche’s claim of charging the Mission E with 248 miles worth of range in just 15 minutes is feasible. 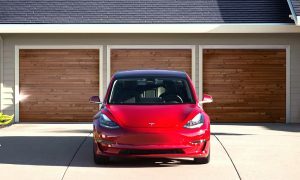 Overall, it is encouraging to see that legacy automakers from both Europe and the United States are coming together to come up with a system that can rival Tesla’s dominating Supercharger network. 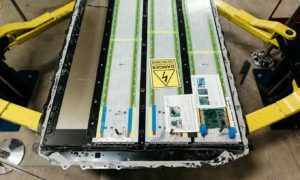 As we noted in a previous report, the vast, worldwide system of fast chargers, which enable Tesla’s vehicles to gain hundreds of miles of range in as little as 30 minutes, has become one of Tesla’s biggest aces against its rivals in the electric car industry. 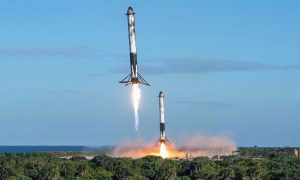 Thus, the upcoming release of Supercharger rivals such as IONITY bodes well for CEO Elon Musk, whose primary goal for Tesla is to accelerate the world’s transition to sustainable transportation.